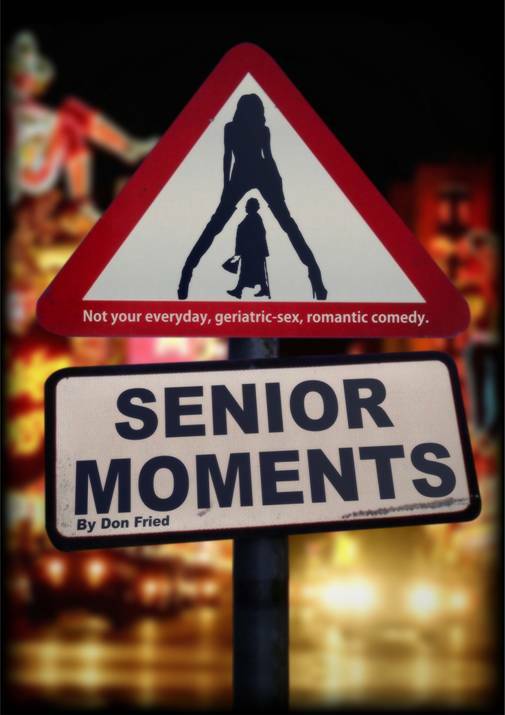 My screenplay adaptation of Senior Moments has been optioned by Hollywood production company Eden Rock Media. Eden Rock is currently finishing post production work on Solace, with Colin Farrell and Anthony Hopkins! I’m in good company. Following is the press release, which has been picked up by movie news website Deadline.com. EXCLUSIVE: Eden Rock Media has optionedSenior Moments, a romantic comedy from playwright and screenwriter Don Fried. Jana Augsberger and Katja Emcke will produce the pic, which Fried has adapted from his play, which has had more than 30 productions nationwide. The plot: After catching her husband in a nursing home affair, a woman embarks on a quest for the adventures she’s been denying herself for the last 50 years — only to discover that finding the right guy is even more difficult than it used to be. Next up is setting a director and cast ahead of a planned production start early next year. Eden Rock is currently in post on Solace, the Afosno Poyart-directed supernatural thriller starring Anthony Hopkins, Abbie Cornish, Jeffrey Dean Morgan and Colin Farrell. Ted Griffin & Sean Bailey, James Vanderbilt and Peter Morgan wrote that one. The indie producer’s credits also include Tucker & Dale Vs Evil, Mr Brooks and Waiting. Fried is currently working on his play Boddice Ripperin Denver and then heads to London for a production of his play Phoenix, inspired by the life of UK singer-songwriter Nick Drake. 1 Response to "“Senior Moments” Screenplay Optioned by Hollywood Production Company"
Great press release. Best of luck!